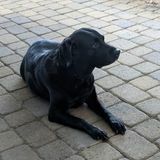 Would like to find a dependable pet sitter to come feed and let my black lab out three times a day while I am away this weekend.Would like to find a dependable pet sitter to come feed and let my black lab out three times a day while I am away this weekend.Would like to find a dependable pet sitter to come feed and let my black lab out three times a day while I am away this weekend. Looking for in home pet sitter from 1/31- 2/5. We have a shih tzu puppy. She will be 11 weeks at time of travel.Looking for in home pet sitter from 1/31- 2/5. We have a shih tzu puppy. She will be 11 weeks at time of travel.Looking for in home pet sitter from 1/31- 2/5. We have a shih tzu puppy. She will be 11 weeks at time of travel. We are going on vacation over the Fourth of July and need someone to come 2 hours a day and take care of our dogs Lilo and Stitch.We are going on vacation over the Fourth of July and need someone to come 2 hours a day and take care of our dogs Lilo and Stitch.We are going on vacation over the Fourth of July and need someone to come 2 hours a day and take care of our dogs Lilo and Stitch.